Sometimes the mightiest warriors and generals, cursed with hate and angst, come back to this world as Death Knights. 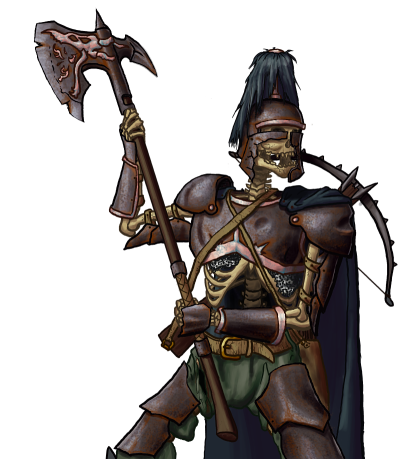 Death Barons serve them whilst accruing enough unholy power to advance to the level of their masters. In the process, they pick up a good deal of the Knight’s skills, including the ability to easily and effectively command underlings. Last updated on Sat Apr 13 02:16:38 2019.